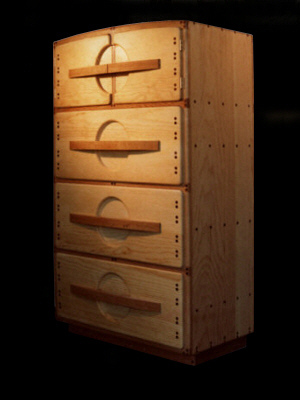 These chests of drawers are a further advancement of the style I developed earlier in dresser# 1. 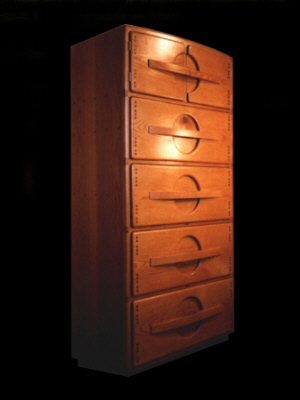 These pieces are of modern form but they retain a craftsman style in design and workmanship. 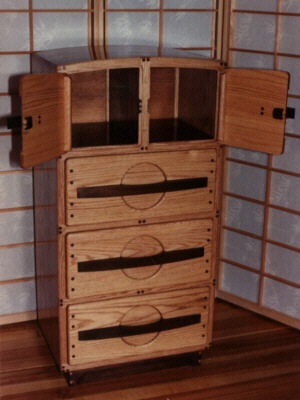 As usual they contain no metal slides but utilize a unique adjustable wooden runner which keeps the drawers centered and opening smoothly. 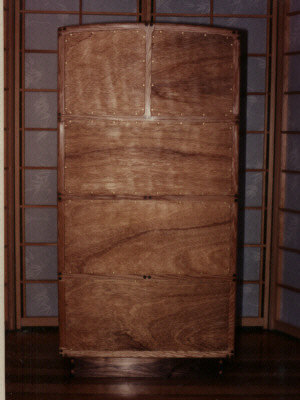 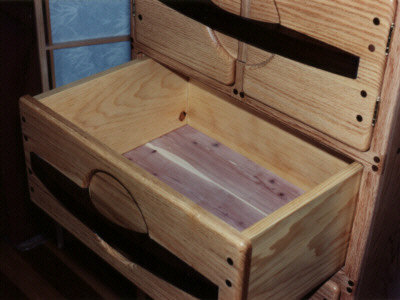 Drawer bottoms may be of aromatic red cedar if desired. 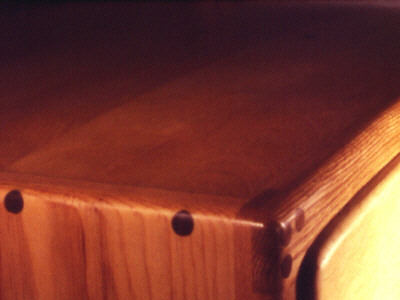 Available in a large variety of woods with doweled or dovetailed casework. 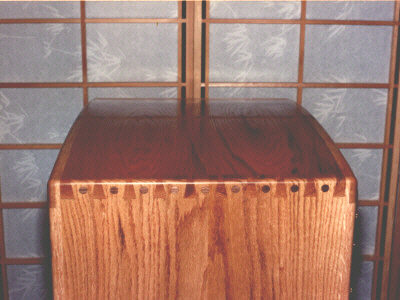 E-mail or phone for ordering and pricing details.